I just can't get enough rainbow precuts! I combined a jelly roll and a charm pack. 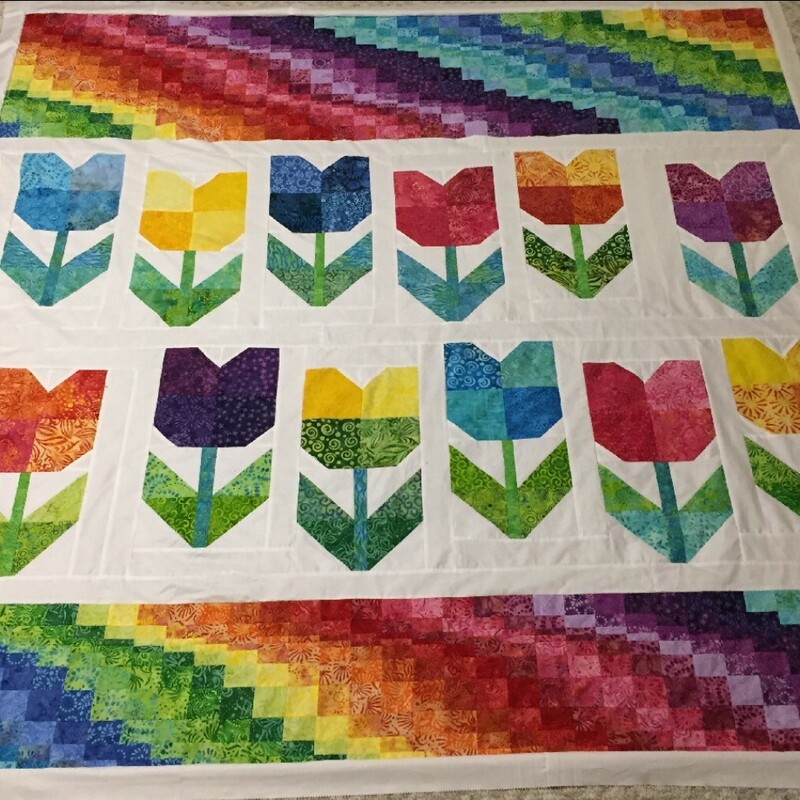 I also combined two patterns-Bargello and tulips.